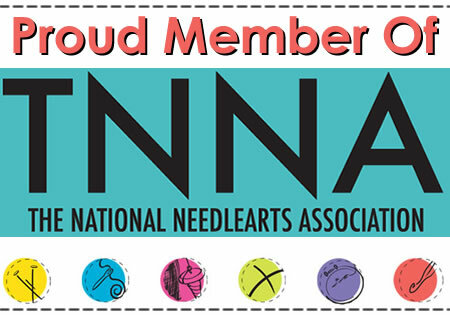 We are once again preparing for TNNA and we have been creating some new colorways. Which means, we are having another yarn tasting! Want to participate and be one of the first to see our new colorways? Sign up for our next yarn tasting, Saturday November 19th. This Saturday, 11am to 3pm! The cost to participate is $40 per person. We will be knitting and touring the warehouse. I will talk about what's new at Anzula and you will get to see all of our newest stuff. Each participant gets to go home with a full skein of yarn and needles sponsored by Knit Addiction. We will also have goodies from Charlotte's Bakery and coffee from Cafe Corazon. Last time we had a blast. From the 41, exit Van Ness, turn right onto Van Ness. Turn left onto Ventura. Turn right onto H st. We are between Mono and Inyo, closer to Inyo. From the 99, exit Ventura, if you are coming from north turn left, if you are coming from south turn right. Turn left onto H St. We are between Mono and Inyo, closer to Inyo. You will see the Smart and Final as you turn onto H st.
Our Address is 740 H St, I would park between Mono and Inyo. There is one parking spot right in front of our warehouse, but most parking is south of our warehouse. Don’t worry about paying the meters, they are free on Saturday. We are just south of Inyo St, if you see the stadium, you have gone too far. We don’t have signage, but our address is right above our door. I will have balloons out.